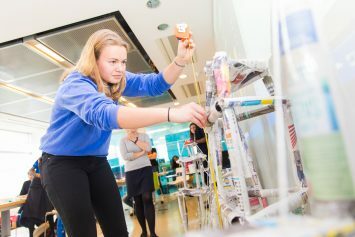 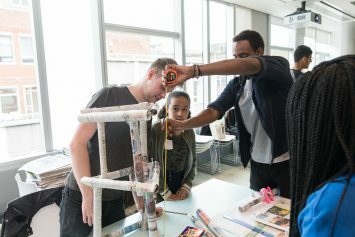 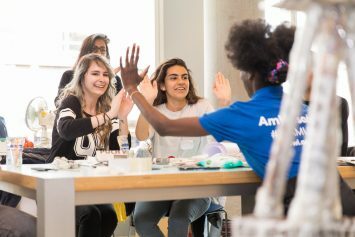 The University of West London’s Art&Design Club joined forces with Ravensbourne’s Science&Engineering Club for a Masterclass in structural engineering held at Arup’s London HQ. 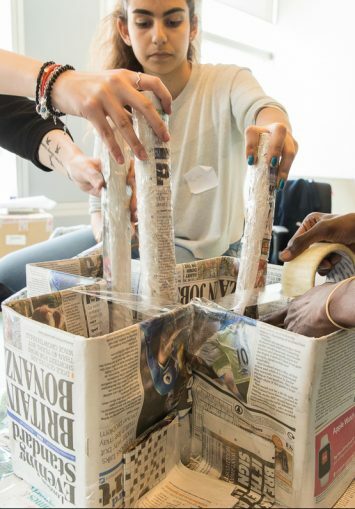 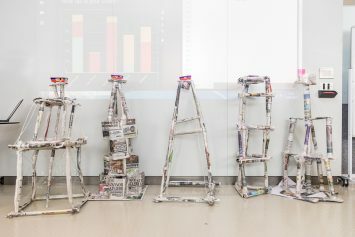 After an introduction to Arup and the firm’s work, the activity was set: to work in groups and construct towers using only newspaper, string, tape and scissors. 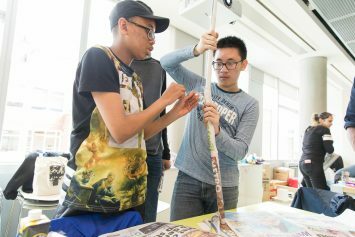 With a specified height and footprint, the towers had to be as light as possible, structurally efficient, elegant and well built. 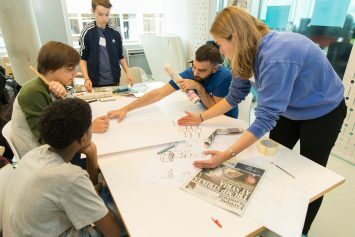 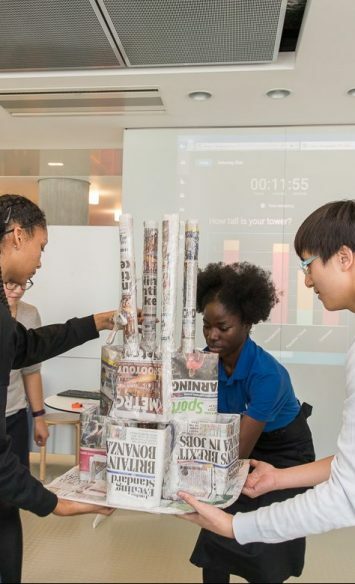 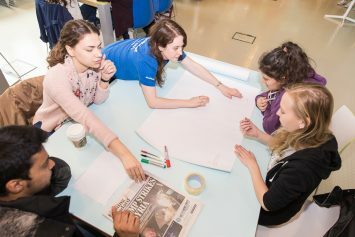 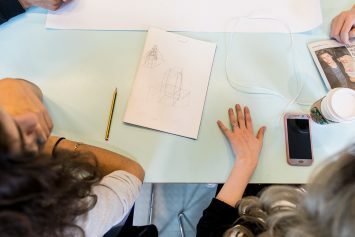 The groups spent 40 minutes designing their tower on paper, while each member of the Arup team spoke about their role and routes into their career and then the building competition began. 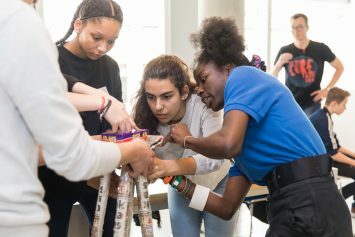 Members of the different Clubs contributed varying ideas and perspectives, and there was great teamwork, careful planning and inventive problem-solving. 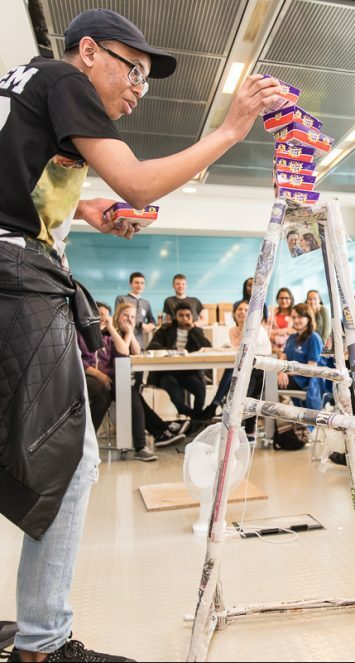 As the countdown got closer to zero, tension and excitement rose, and the day ended on a high when the towers were tested for stability using desk fans and boxes of chocolate Creme Eggs.